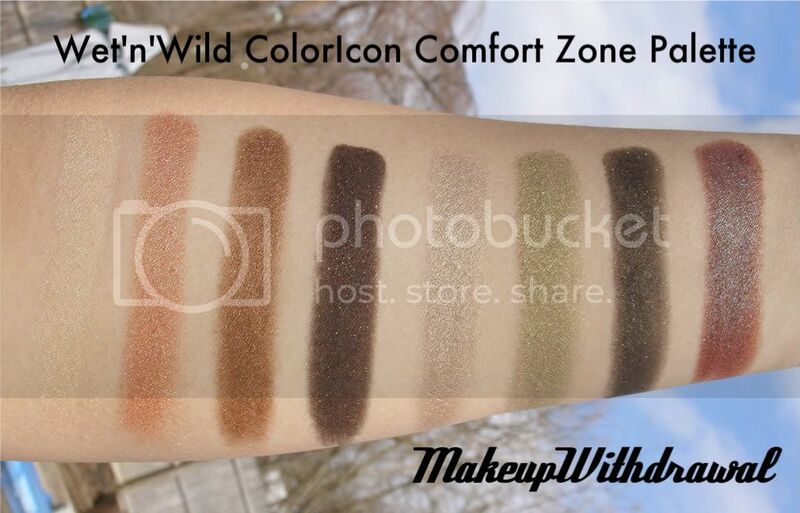 I finally have one of the new Wet'n'Wild 8 pan ColorIcon Palettes to show you! I had been searching for these palettes at Walgreens and Walmart for a month or so now, but every single Comfort Zone palette that I had encountered was shattered in some way. I guess that's a good indication that shadows are uber soft and that they might be a bit too fragile to travel with! I haven't had a chance to photograph any EOTDs with them, but I did get some swatches while the sun was out today. These swatches were done without primer. I did the left side of the palette first, from top to bottom and then the same thing with the right side (basically the sides of the palette correspond to the swatches on my arm). I really liked how soft and easy these shadows were to work with! Over all the pigmentation is awesome (except for the left browbone shade, but I'm ok with that because sometimes browbone shades are too pigmented and you end up with super frosty brow highlights) but the two definer shades in particular just knock my socks off. I can tell that some of the shades are repeats from the limited edition holiday Pixie palettes, but the colors are slightly tweaked (for instance the duochrome reddish brown/green is a lot more red in Comfort Zone). 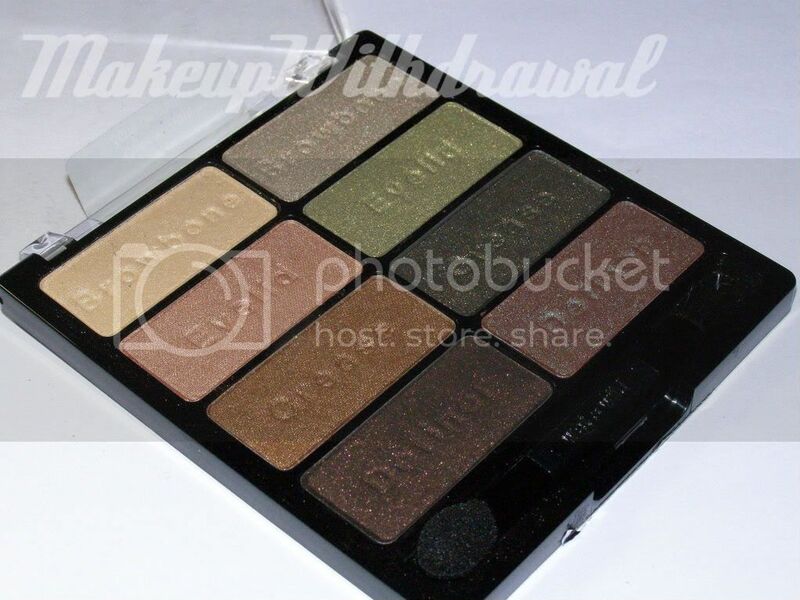 I love this palette so much, I can already tell that it's going to be one of my most used makeup items in my stash. The colors on the left side are a bit warmer than I typically use, but I'll have to work with them. The right side is perfect, I swear that Wet'n'Wild has been peaking in my diary and chose those shades for me! Could this palette be any more awesome at $4.99? Dear Wet'n'Wild, I'd like to congratulate you for securing a place close to my heart!